We are blessed to have elders, deacons and evangelists that work together to help each member at Dowlen Road grow in their faith. Feel free to contact any of them for spiritual help. 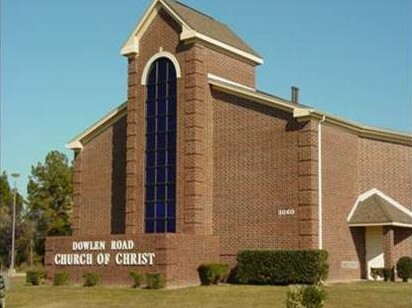 You will find your home with the Dowlen Road Church of Christ. Our worship is God-centered and Bible-driven, following the example of our brethren in the New Testament. When you worship with us, you will be blessed by the heartfelt singing and practical, motivating teaching from God’s Word. We believe you will enjoy worshipping with us, but more importantly, you will be brought closer to God! In fact we know that God, “has granted to us everything pertaining to life and godliness…” ( ). So we simply seek to study the Bible and apply God’s wisdom to every part of our lives. We are not part of any denomination and we are not a social club. We are just a group of people saved by Jesus Christ seeking to be Christians, nothing more and nothing less. We hope that you will join us soon to learn more about being just a Christian. Click on the topics below to learn more.